Without necessarily being a sparkling model, Kia Sedona had, over the past years, quite a peculiar development route, with plenty of ups and downs. After a serious downfall back in 2013, the model seems to seriously plan a comeback for the next year. 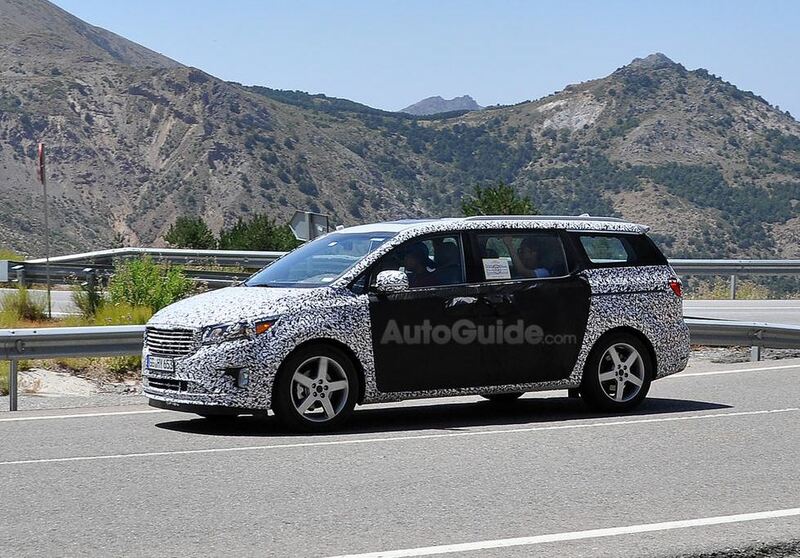 The Korean carmaker is therefore working on this special minivan, developing, as we speak, a next generation of Kia Sedona. 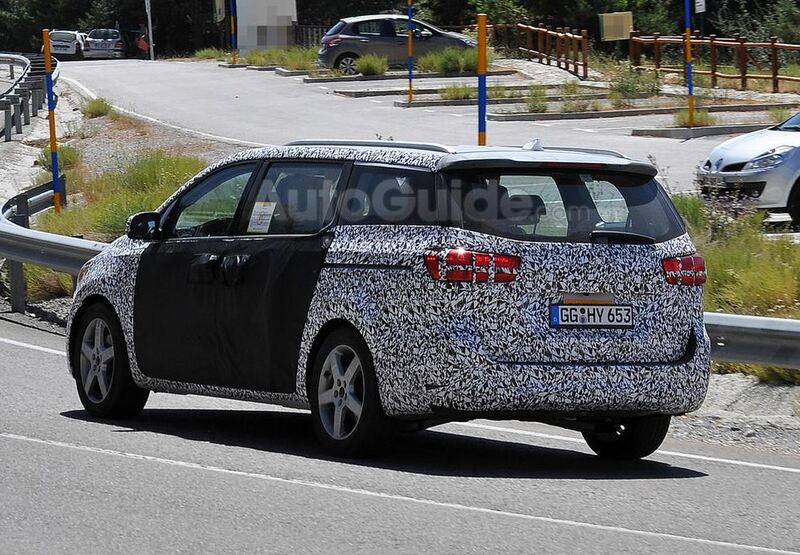 Perhaps this is not entirely a novelty, yet the latest photos that leaked on the internet, with the unit being tested somewhere in the Southern Europe, are. 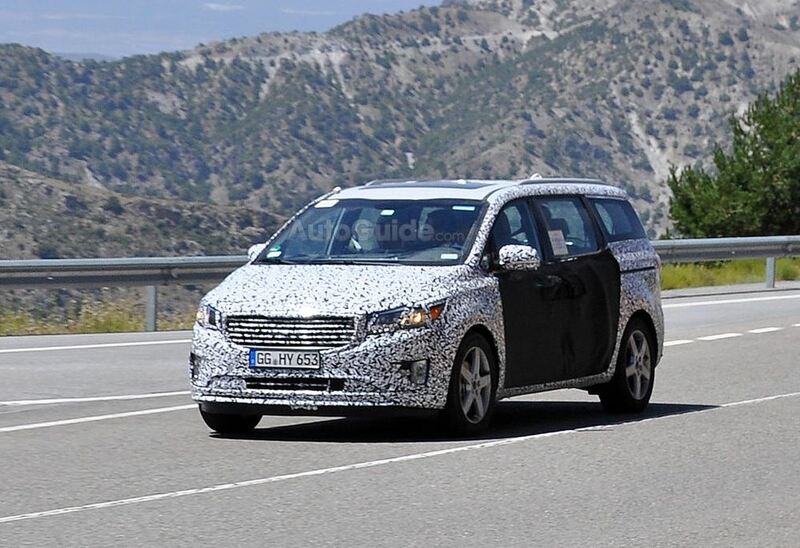 Carefully hidden behind folds of material, Kia Sedona was surrounded by several other Kia and Hyundai cars. Nevertheless, its features were easy to spot and we can tell from a distance that the next generation, also known as Grand Carnival on some markets, will make a significant better appearance. So far, it is all about the looks and with the intervention of Peter Schreyer, Kia Sedona has all the chances to make a decent competitor for other minivans such as Toyota Sienna. The unit is expected to be launched in the fall of 2014 and the officials have already stated that they are not planning to sell it in Europe, for now.